Sometimes our customer starting point is wanting to get the best out of Office 365. Sometimes our customer starting point is wanting a new Office 365 intranet. Sometimes our customer starting point is wanting to help employees to collaborate and be productive on Office 365. Whatever your start point, AddIn365 will take you through a process that defines the results that your organisation is looking for, then work with you to create a plan to get there, in the time-frame you need. 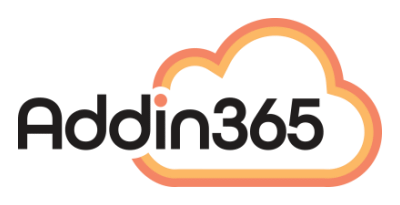 The AddIn365 strategy and rollout approach will help you to stay in control of your project, when multiple stakeholders, viewpoints and Office 365 services are coming at you thick and fast. Our methodology keeps the team fixed on delivering the outputs that you want to see, so that success is delivered as quickly as possible and at the lowest cost. There is always scope to do more, but we think it’s important to deliver against your pressing needs first, then look at everything else. Our strategy and rollout plan can be executed by your internal team, or by AddIn365. Some of our customers choose to go hybrid and implement internally, with oversight and review from us.